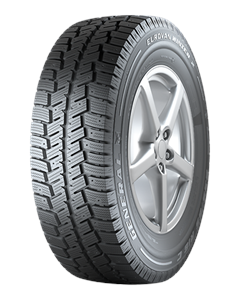 When harsh and frosty cold winters push other tyres to their limits, the new EUROVAN WINTER 2 comes into play! The Eurovan Winter 2 is equipped with a tread design that creates an “ice-scraper-effect”. This allows exceptional traction and handling on snow. Additional pockets trap snow inside the tyre’s tread which significantly improve the grip thanks to a much better traction of snow to snow than rubber to snow. The tyre achieves outstanding braking performance on wet roads. When it is pouring with rain, wide drainage channels make sure that water from the contact area is expulsed quickly and efficiently so that aquaplaning or even snow slush are no longer threats. The improved pattern design lets you corner safely and precisely. The tyre achieves best results in steering precision to keep your tyre safely on track at all times.